Truck drivers in the Gambia tend to be highly mobile and commonly spend between two weeks and a month away from home to cover domestic routes; a remarkably long period of time country that is only 500 km long and 50 km wide. Bad road conditions, poorly maintained trucks, and infrequent access to petrol exacerbate these route times further. While domestic drivers tend to travel along a west-east route between Banjul and Basse, the Gambia is also essential in facilitating important regional routes. 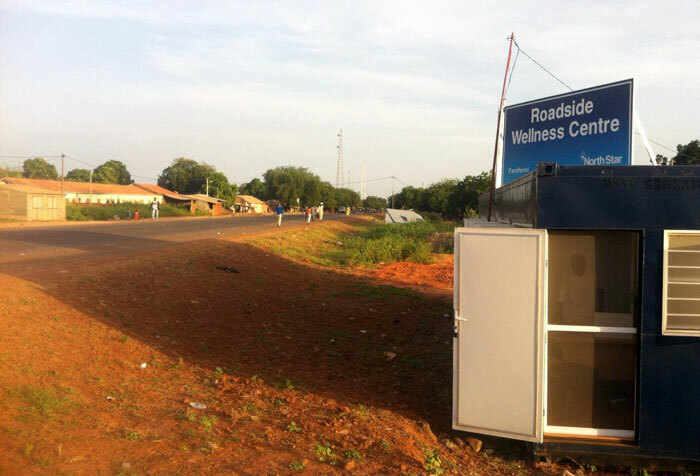 The north-south Trans-Gambia Highway is frequented by not only Gambian drivers, but by long-distance drivers from Senegal, Guinea-Bissau, Mali and Sierra Leone, most of whom spend more than a month on the road at a time. Because the Gambia facilitates important regional transport, truck stops in transit towns like Farafenni have become particularly busy with domestic and international truck drivers.